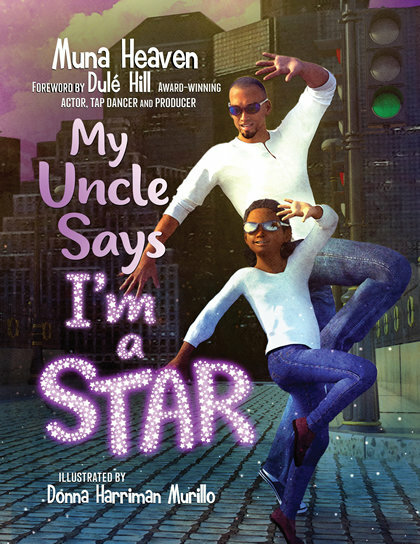 A charming story of a beautiful little girl and her doting uncle – they make an awesome pair. She thinks he’s the best, and he loves her dearly. But most of all, he is pretty sure she’s a growing superstar. And she believes it! Come along and enjoy their happy world of love, friendship, and faith as this sweet child is inspired by her adoring uncle to believe in herself and trust God. Great for boosting your child’s self-esteem, this book shows the power of love to inspire, encourage, and motivate. More than a story, it’s a mood changer, a confidence builder, and a great way to help your child express her feelings. The Foreword is written by award-winning actor, tap dancer and producer, Dulé Hill, best known for his work as Charlie Young on The West Wing, Gus on Psych, and Alex Williams on Suits.